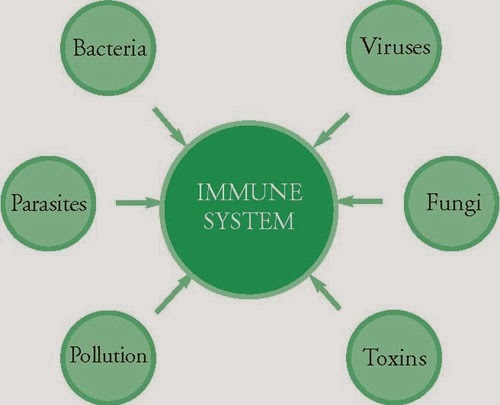 The immune system is a system of biological structures and processes within an organism that protects against disease in which is made up of special cells, proteins, tissues, and organs, defends people against germs and microorganisms every day. 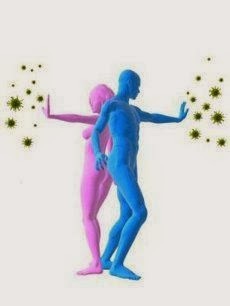 In most cases, the immune system does a great job of keeping people healthy and preventing infections. 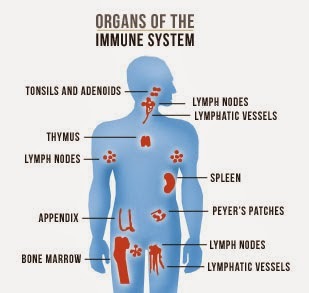 But sometimes problems with the immune system can lead to illness and infection. Infection occurs when a pathogen invades body cells and reproduces. Infection will usually lead to an immune response. If the response is quick and effective, the infection will be eliminated or contained so quickly that the disease will not occur. Sometimes infection leads to disease. (Here we will focus on infectious disease, and define it as a state of infection that is marked by symptoms or evidence of illness.) Disease can occur when immunity is low or impaired, when virulence of the pathogen (its ability to damage host cells) is high, and when the number of pathogens in the body is great. Depending on the infectious disease, symptoms can vary greatly. Fever is a common response to infection: a higher body temperature can heighten the immune response and provide a hostile environment for pathogens. Inflammation, or swelling caused by an increase in fluid in the infected area, is a sign that white blood cells are on the attack and releasing substances involved in the immune response. Vaccination works to stimulate a specific immune response that will create memory B and T cells specific to a certain pathogen. These memory cells persist in the body and can lead to a quick and effective response should the body encounter the pathogen again.